I want to be honest with you. There are some issues that don't allow me to make the decision." 1 - I've never had a surgery, so I am afraid to do this. I think it is going to hurt a lot. The procedure has minimal pain. More on the level of discomfort initially when you are numbed. After you are numb you shouldn't feel anything. You are numb. After the procedure you will typically feel sore, tender, tight but shouldn't be in any great pain. Most people will say after the procedure they are fine and they feel no discomfort or slight discomfort. We have a lot of video testimonials on our site where you can see the patients describe their experience, you can even watch surgery if you want from our site. Most people will say the hardest part is from the time they signed up for the procedure until they actually did the procedure. The apprehension is the hardest part not the actual procedure. If you would have had any prior surgery this would be the easiest of them because it is a local anesthesia, out patient process with minimal recovery time. 2 - I would like to have great results and cover all my bald, but I think this can not be possible in just one procedure. Correct. 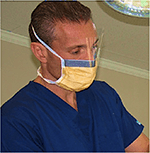 There is no guarantee we can cover your whole head from front to back in one procedure. Most of the time we can cover 1/2-2/3 of the scalp and in some cases we can cover the whole area. You are correct in knowing that we have limitations to what we can achieve in one procedure. We do not promise anyone that we can cover their head from front to back in one procedure and give them a full head of hair. It is possible, but we don't promise that, as there are many variables involved. Most people will have a second procedure at some point to either make up for more native hair that has continued to fall out or because they want more density. 3 - The fact of having to take medicine (Propecia/Finasteride) for a long time or even for all my life I think is not good. I agree with you that nobody wants to take medication for a long time if it is not necessary. It is a choice that I and millions of others have decided to make so that we can enjoy our hair longer then nature intended us to. I was not prepared to lose my hair in my early thirties so I decided it was worth the chance to take the medicine. I tried it and did not have any negative affects only positive affects(kept my hair from falling out). We have half our patients who take the medicine and half that don't. 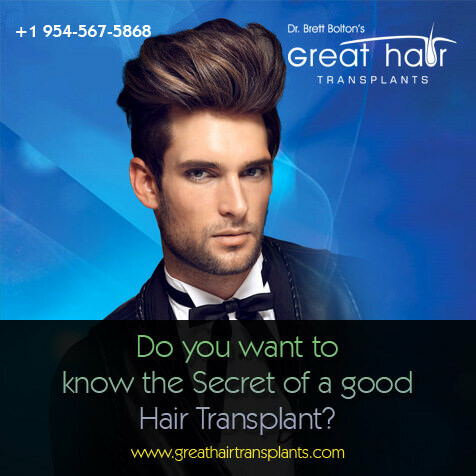 The transplanted hair does not need medicine to thrive and since you have already lost the majority of your hair it may not be as important to you. It can help your bald area from enlarging over the coming years and some patients find that worthwhile and others don't. It is your choice. Some patient elect to take Propecia initially along with the procedure and may decide that after time as they get their results they may discontinue the medication because the transplants are sufficient for them. 4 - I like to use my hair short, but with the scar, maybe I can not do it anymore. 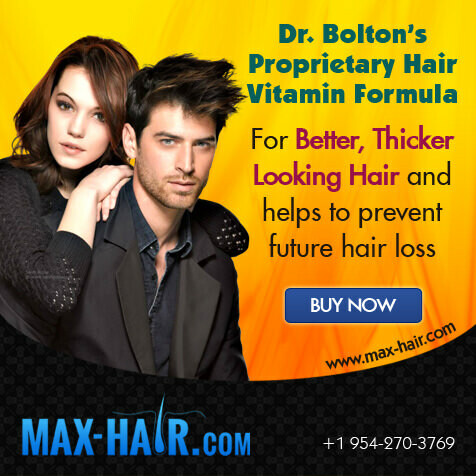 Dr. Bolton can guarantee that at 1/2 inch length nobody will see your scar unless you shave your head. If you see his scar videos on his home page www.greathairtransplants.com click on "What Does A Donor Scar Look Like? You will see 30 examples of his donor scar or I should say we show you the donor area. I doubt you will see the scars. Some of the patients are wearing their hair shorter then 1/2 inch. If you scroll through the blog you will see more examples of patients having the procedure with their heads shaved. I appreciate your concerns and I hope I have addressed them to your satisfaction. Please don't hesitate to contact us with any more questions you may have.